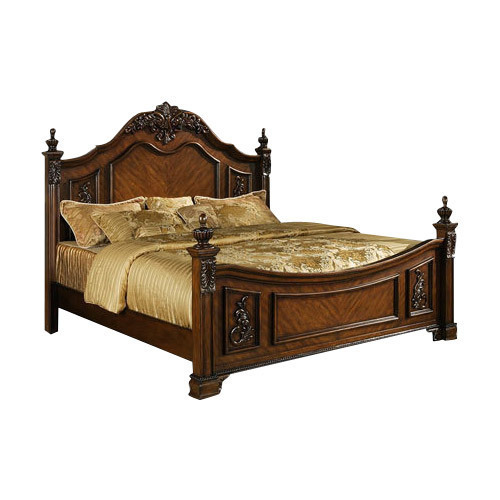 With a firm commitment to quality, we are involved in offering a wide ambit of Wooden Double Bed. Incepted in the year 1980, we “Indian Handicraft House” are engaged in manufacturing and exporter a wide assortment of Wooden Furniture, Industrial Furniture, Garden Furniture, Reclaimed Furniture, Metal Furniture, , etc. Situated at Jodhpur (Rajasthan, India), we are a Sole Proprietorship company and manufacture these furniture items as per the set industry standards. Managed under the headship of "Mr. Umesh Jangid" (General Manager), we have achieved a significant position in this sector.